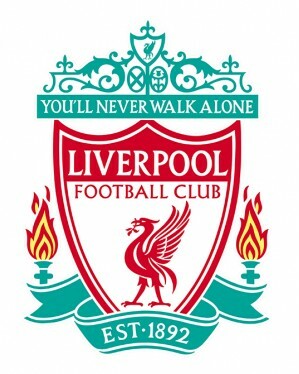 Liverpool FC was founded on March 15, 1892 by John Houlding, the owner of Anfield stadium. In 1901 Liverpool FC won its first championship, and the success was repeated in 1906. In 1922 and 1923, Liverpool FC won its first consecutive titles. In 1947 it became champion again, but a few years later - in 1954 Liverpool FC relegated from the First Division. On 1 December 1959 the club manager Bill Shankly was drawn and he makes Liverpool FC became one of the leading teams in Europe for the next 15 years. In 1964 Liverpool FC won the championship after a 17 year of interrupting. In 1965 Liverpool FC won the cup FA (first), and in 1966 became champion again. Their first European trophy, the UEFA Cup, Liverpool FC won in 1973. A year later, after the new Cup FA winning, the manager Shankly retired from football and left Liverpool FC in the hands of his assistant Bob Paisley. After taking Liverpool FC, Paisley became one of the most successful managers in the history of the football. In the nine years on the head of Liverpool FC, he won 21 trophies, including six league titles, three European Champions Cups, the UEFA Cup and three consecutive League Cups. In the first season of the manager Joe Fagan, Liverpool FC achieved record success - becoming the first English club to win three major trophies in a single season - the championship, League Cup and European Cup. The period of management of Kenny Dalglish is remembered by the winning for Liverpool FC of three league titles and two Cups FA. In the 2000-2001 season Liverpool FC achieved a unique success, winning the Cup FA, League Cup and UEFA Cup. During the season 2005-06 Liverpool FC won the FA Cup and the Super Cup of Europe. In season 2008/09 Liverpool FC finished the season on second place with 86 points. The team only lost 2 games this season. The emblem of Liverpool FC was founded in memory of the fallen football fans in the tragedy of Hillsborough and Anfield stadium. 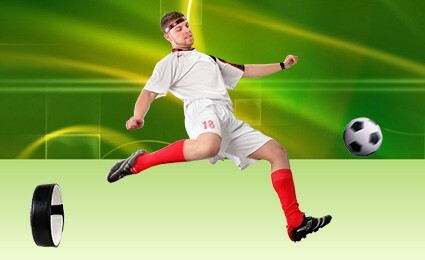 The home kit of Liverpool FC is a red shirt, red shorts and red socks. 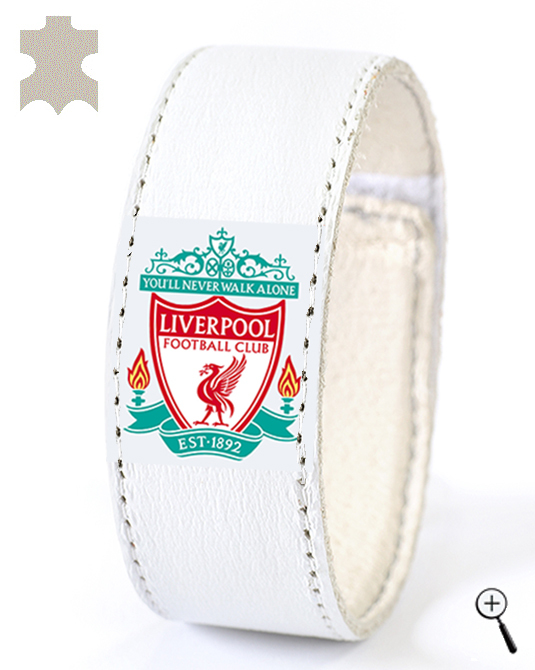 The away kit of Liverpool FC is a white shirt with red and black ornaments at the bottom of the shirt, black shorts and white socks. The third kit of Liverpool FC has a shirt with black upper part and gray and lilac figures on the bottom part, white shorts and black socks. 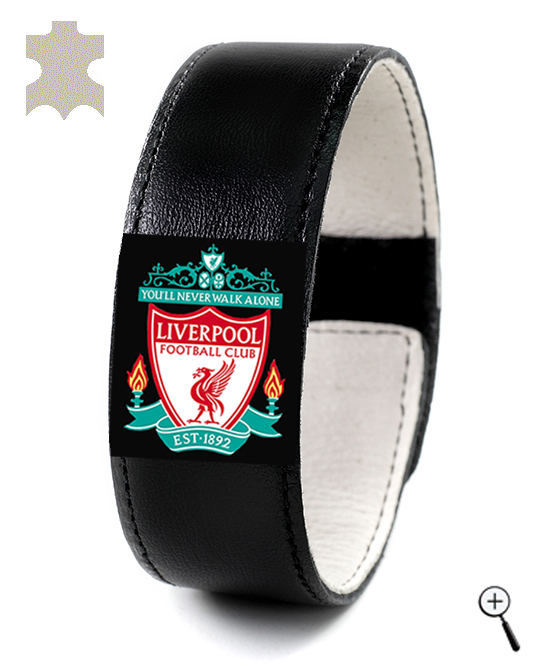 BeMAGnetic design magnetic leather accessories for fans of Liverpool FC that improve health and make people more energetic and more successful without doping. 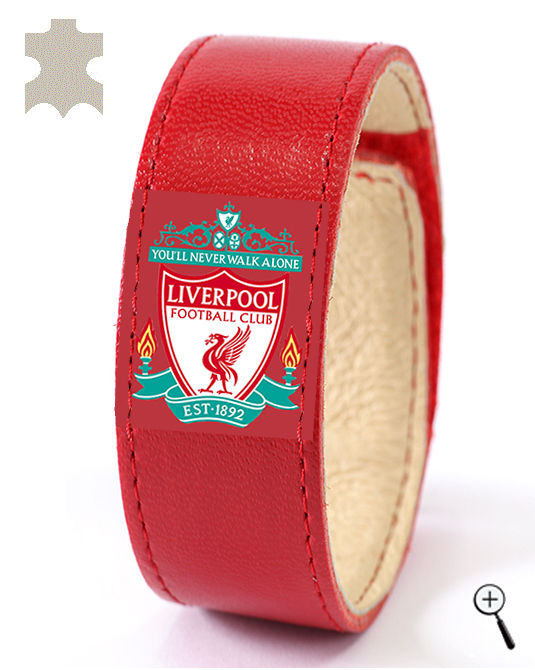 The magnetic leather accessories are made with the emblem and colors of the three kits of Liverpool FC for the year2013.